UKDN Waterflow, one of the UK’s largest independent specialist drainage contractors, is expanding its North West operations in response to strong growth in the region. The firm has relocated from its current 3,900 sq ft premises in Bury to a new 7,000 sq ft base at Bridgeside Business Centre in Stockport. The move will see 14 drainage response vehicles and 6 staff – including 22 engineers – working from the base, with rapid response teams stationed across the North West. The team provides drainage repairs and maintenance across a range of projects from small domestic blockages to major infrastructure schemes. The expansion follows steady growth in the region for the company which works on behalf of some of the UK’s largest household insurers, multi-property retail and commercial organisations such as McDonald’s, and major asset owners such as Network Rail. UKDN Waterflow has also appointed Chris Chapman as regional business development manager to capitalise on the move in 2013. May Hunter, regional operations manager at UKDN Waterflow, said: “Focusing on quality and professionalism has allowed us to build up a loyal client base in the North West, across a range of diverse markets. As a result we’ve outgrown our current premises. We’re also increasingly handling more work through our national relationships with customers like the AA, Debenhams and Burger King, where quick response times are critical. 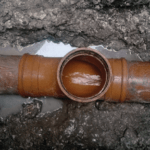 UKDN Waterflow provides a wide range of drainage solutions including CCTV drainage surveys, no-dig repairs and clean water pipe inspection and repair services, in addition to specialist services aimed at local facilities managers, retail and commercial premises, housing associations and estate agents, as well as brokers and loss adjusters. Formerly known as UKDN, the business re-branded as UKDN Waterflow in 2012 following its acquisition of major infrastructure specialist Waterflow, and subsequent further acquisition of private sector specialist Drain Control, in 2011. Unlike many drainage companies, the firm does not operate as a franchise, directly employing its entire staff.